Family Home with so many extra features! 5 minutes from the Lake! Convenient to Huntsville, Chattanooga, Guntersville! 3 bedroom- & BONUS room, 3 baths! Split Floor Plan design. Master Suite connects to Laundry & a nice surprise with workshop BASEMENT also connecting to the Laundry! Another nice surprise- one Guest bedroom has its own Bath! All bedrooms are very spacious! 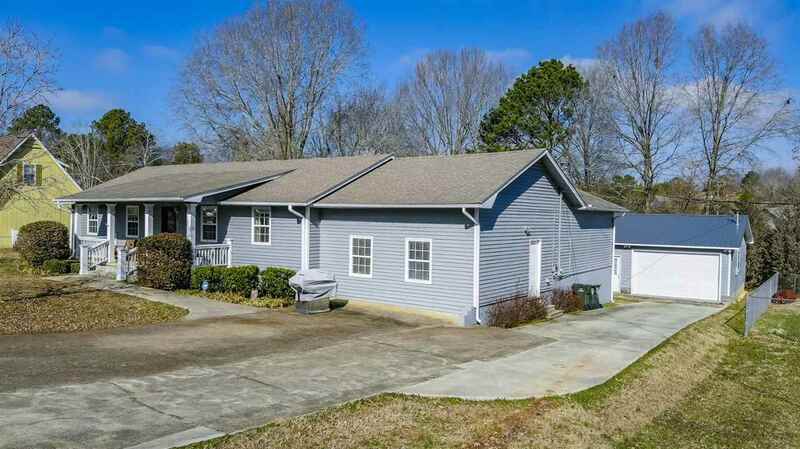 Hardwood Floors, Tile, Solid surface vanities in all 3 baths, and a beautiful OPEN FLOOR PLAN! The special features dont end there-a lg detached 2-3 car garage/workshop is at the rear of Home! This is a RARE find in this price range, Call to see today!